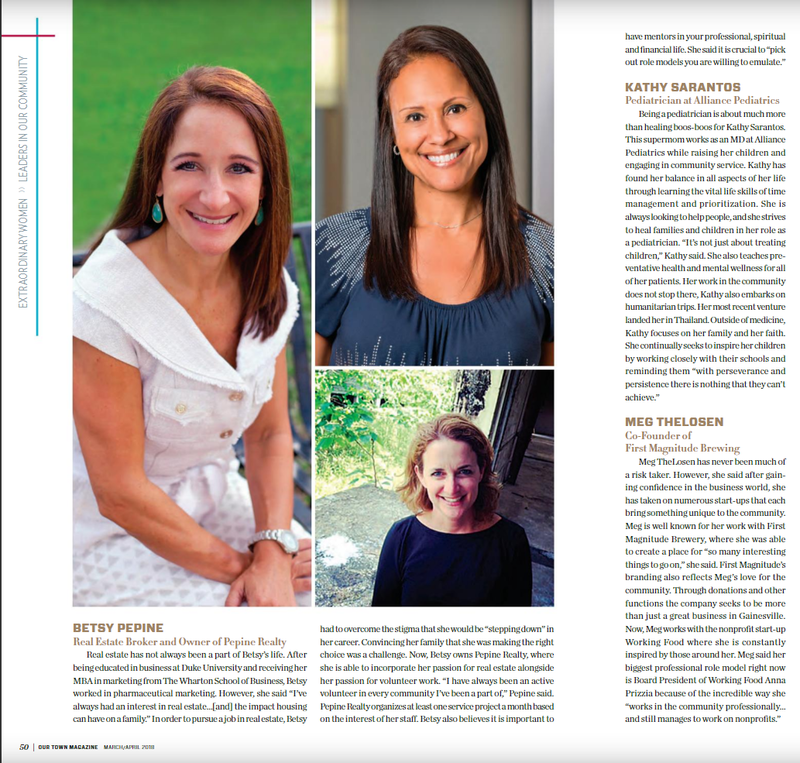 Betsy Pepine was featured in the March 2018 issue of Our Town magazine. 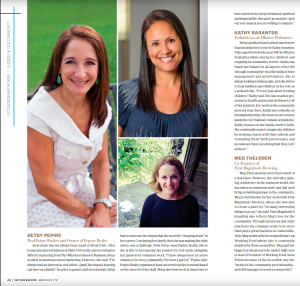 The Women’s Issue of Our Town featured female influencers and role models in the Gainesville, High Springs, Alachua, Newberry, and Jonesville areas. View the rest of the article in the Our Town virtual magazine. If you are interested in buying or selling real estate through Betsy or her company, call (352) 226-8474 or contact us through our online form.